"Safi’s prose style has a lively staccato rhythm that captures Lulu’s spirited nature.. In addition to Safi’s focus on multicultural identity, her story provides a candid perspective on female friendships that are full of conflict, love, and angst...Safi offers a refreshing perspective on conformity and the path to self-actualization." "Safi’s debut novel offers Arab and Muslim readers a teenager they can relate to as they too learn to navigate racial and religious tensions in a predominantly white society. Delightful and funny but still giving voice to serious issues of sexual consent and xenophobia." "Fiercely unapologetic and unapologetically fierce. 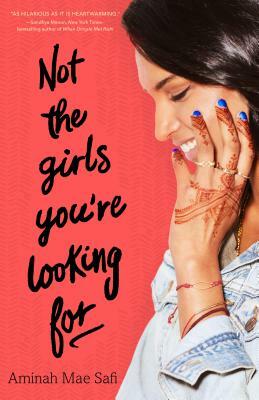 This is exactly the kind of bold,messy, girl-driven, friendship-centric narrative that I have indeed been looking for." “An honest slice of teen life from a teen character you need to know."